Are you an avid online shopper? Have you noticed if each payment page has HTTPS in its URL lead-up? If you’re not absolutely sure, you might be a prime target for identity theft. 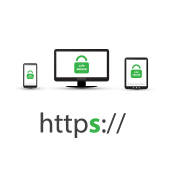 Here’s why you should make sure that the websites you browse for shopping have a little padlock icon on them in the URL bar. 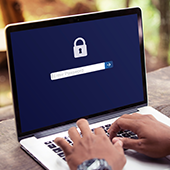 When you’re ready for IT support that handles the finer points of cybersecurity like safe web browsing, give Lanlogic a call. 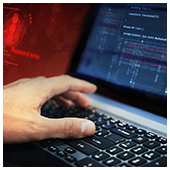 Cybercriminals are increasingly targeting the healthcare industry for its perceived vulnerability. Nowadays, more and more hospitals are realizing that overall patient care not only involves medical attention, but also entails securing patient data. For many healthcare organizations, it’s crucial to work with the right managed services provider (MSP) to ensure transactions are seamless and patient data is constantly protected. If you want to learn how great technology and support can benefit your healthcare practice, get in touch with Lanlogic today. 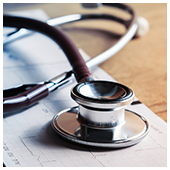 We provide the perfect set of healthcare IT solutions and outstanding support to drive your organization forward. While your business might not be in immediate danger, you should employ solutions that analyze trends in behavior. It is also wise to invest in a managed service provider that offers 24/7 network monitoring, proper patches, and software updates. Call Lanlogic today to get started. From answering emails and using online productivity suites to browsing Facebook and streaming YouTube videos, a fast and reliable internet connection is a must. But what do you do when there are connectivity and speed issues? Here are some solutions to five of the most common Wi-Fi worries. 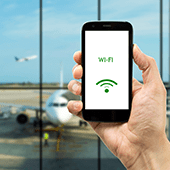 When you experience Wi-Fi issues, these tips will help you avoid serious downtime. But if you’d rather have a dedicated technology provider take care of your hardware needs, give Lanlogic a call and we’ll be happy to help. The creation of defensive measures requires extensive knowledge of the lurking threats, and our team of experts is up to date on the latest security information. If you have any questions, feel free to contact Lanlogic to find out more about TTPs and other weapons in the hacker’s toolbox. 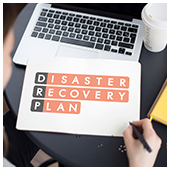 Your DRP is more than just a pesky legal requirement. It’s the insurance plan that will keep you in business when disaster strikes. Our professionals at Lanlogic know the importance of combining both academic and real-world resources to make your plan airtight when either auditors or blizzards strike. Message us today about bringing that expertise to your business. 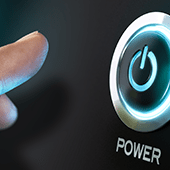 Think of an emergency power supply source like a UPS as an investment that not only protects your systems from data loss but also keeps your Wi-Fi equipment functioning in emergency scenarios. Call Lanlogic today for productivity-saving tips and other hardware hacks for your business. 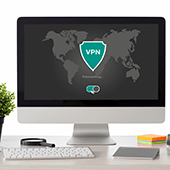 To protect against VoIP-based scams, set stringent policies on information-sharing and impose strict security processes for all business communications. 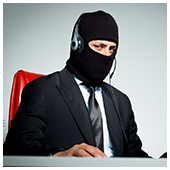 Informed and aware employees are key to making sure that scammers are held at bay. 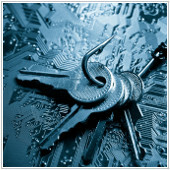 Protect your company against all types of scams by getting in touch with Lanlogic today. Bloatware not only clutters your laptops and PCs, but it can render your business vulnerable to cybersecurity breaches as well. Save yourself from tons of headaches down the line; learn more about protecting your computers from bloatware. Call our Lanlogic team of IT experts today!